January 9, 2017 (Vancouver, B.C.) – Liv Vancouver is excited to announce the first store of its kind in Canada. 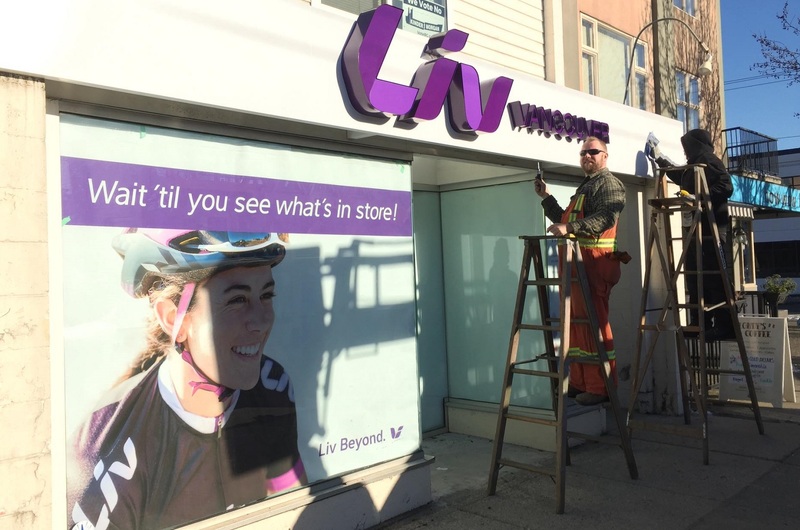 A bicycle boutique featuring Liv brand bikes, as well as accessories, clothing and a customer experience tailored to the female rider, Liv Vancouver aims to open its doors this Thursday at noon, with an official Grand Opening scheduled for February 17. Liv Vancouver owner Anne-Marie Gagnon is passionate about cycling. Gagnon recognizes the growing women’s market in bicycles and she is eager to create a bicycle retail experience that meets the needs of women like her – active women seeking high end products that offer quality, performance, style and comfort. The store features beautiful bikes and personal touches, like this original mural. 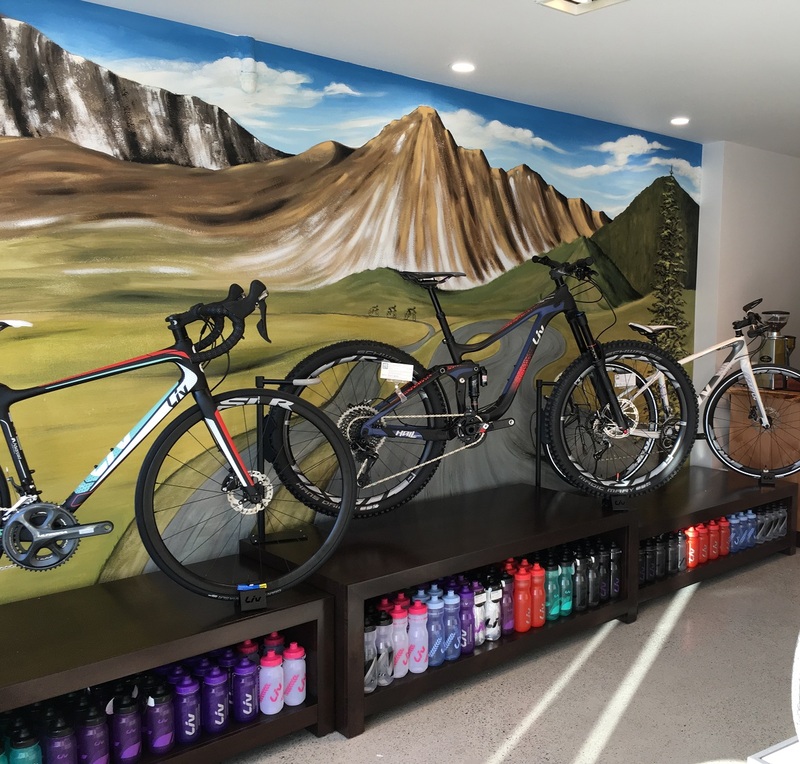 “I want this store to be as high end and professional as the best bike store you may know, but focusing on women’s needs,” she said, adding that the store will offer the largest selection of women’s bikes of all types, applications and sizes in the city. 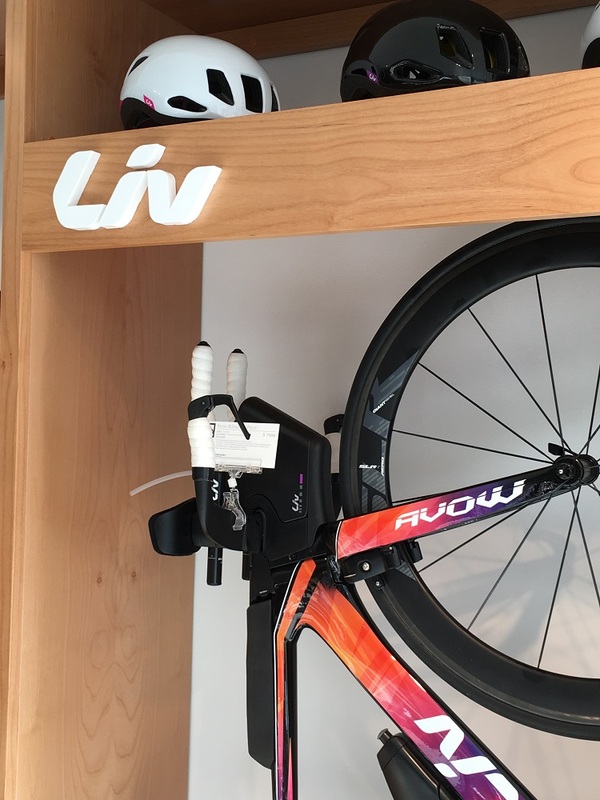 In addition to Liv brand bikes, clothing and accessories, the store will stock quality women’s products, such as helmets, shoes, saddles and eyewear, from complementary brands. Liv Vancouver carries Liv’s wide range of bikes and gear for women. The vision for the shop does not end at gearing up customers with the best equipment. 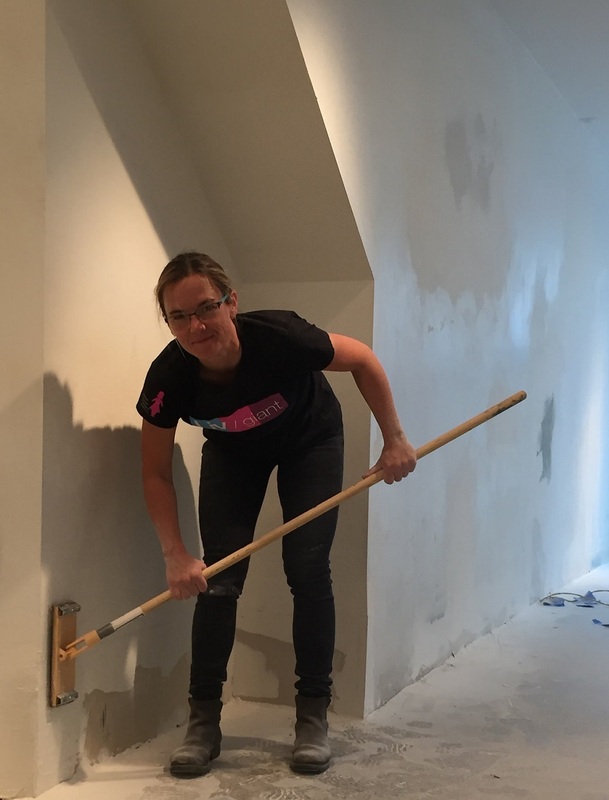 Gagnon also hopes her retail location will become a hub for women’s cycling – a comfortable place where female cyclists can gather to share their two-wheeled experiences, talk and learn about bikes over coffee, as well as ride together. 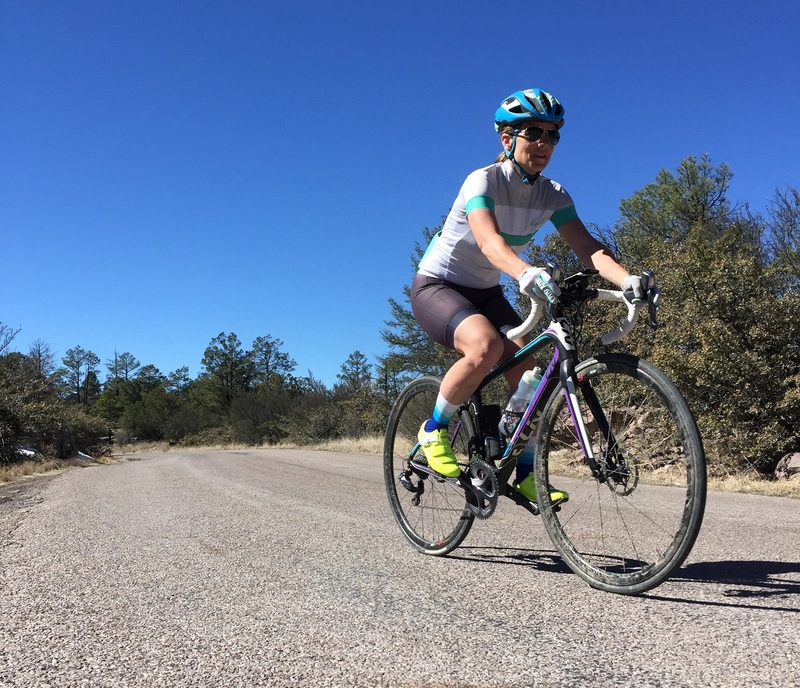 She intends to offer a variety of clinics, rides and events as part of her effort to grow the sport among women. She has already purchased a high end espresso maker to get things rolling, as she appreciates the inextricable link between coffee and cycling culture. Gagnon has lots of experience in the industry. Gagnon is incredibly experienced in the industry, growing up as the daughter of a sports store owner in Quebec, and later taking over from her father. After selling the family business to her brother, she opened her first bike store in Montreal – Giant Bicycle’s first concept store in Canada and a success from the start. When Giant Canada offered her the chance to take over its Vancouver location in 2013, she jumped at the chance, selling the Montreal store and moving across the country. With her expertise, Giant Vancouver quickly became a success. The new Liv Vancouver store is located right next to Giant Vancouver in the city’s popular West 4th shopping district. Liv Vancouver’s sign being installed on its West 4th storefront. Gagnon has opened an online survey to give her potential clients a voice in how the store will take shape and allow them to weigh in on the types of products and services that they would like to see offered. Respondents are eligible for an in-store discount. Find it at https://www.surveymonkey.com/r/HXS5DRJ. Applications from friendly and knowledgeable bike enthusiasts with previous retail experience are still being accepted to fill sales and customer service positions. Visit www.livcyclingvancouver.com for details.